Quilt Magic Kits Really Are Like Magic! If you haven’t tried a Quilt Magic Kits pattern you will be surprised just how easy it is to create such beautiful projects. Remember the paint by number idea? Well this is a bit like that but instead of paint you use fabric. Each kit comes with a pattern and instructions. You receive foam board with pre-cut technology so you build the design piece by piece until you have the completed project done. No sewing, no special tools, no glue, just magic! You are going to find stunning magic quilt kits on this page so you can order and get started in a snap. Give the kits as gifts or create the project for yourself or for gifts. As you browse the designs be sure to click through to find more details, customer reviews, and beautiful kits. One of the things to be aware of, many of the photos show the finished project in a frame, yet the frame is not included in the kit (unless otherwise specified). In order to create the project as shown, you will need to purchase a Quilt Magic frame. A magic quilt (”quilt magic”) kit is a no sew , no glue, no special tools needed project which creates a stunning finished item you are sure to be proud of to keep or to give as a gift. One of the nice things about quilting is the dimension you get in the design. With this butterfly kit you are getting even more details and dimension than you ever might expect from a no sew no glue fabric project. In many ways it is even better than quilting. In the sense that you have less time invested in the project to have such stunning results. 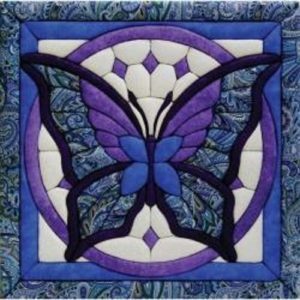 The combination of this butterfly design and the beautiful colors of the fabrics, which are included in this kit, makes this truly a stunning piece of craft art! Cardinals are an amazing design accent for any time of the year. They are most popular during winter holidays and in the spring. Yet, they are so amazing you can use them in your home décor all year long. Select a Kit That You Love! Your Magical Quilt will be Finished! The Dragonfly kit is such a beautiful combination of the colors in nature itself. It is truly a magnificent selection for those of us who love nature or perhaps to make for a son who loves insects. Make a no sew quilted wall hanging with the assorted fabrics , pattern, and instructions included in this kit. It is called ‘magic’ because there will be no sewing, no gluing, and no tools needed to make this fabulous quilt showpiece! This design is based on the ‘starburst’ design generally used in quilting. You can see the design appears to be complicated. If you were going to be sewing this then it might also seem to be complex but even quilters have a special way of creating designs which appear to be more difficult than they actually are if you know the right steps and the system to make it happen. Everyone loves a beautiful lighthouse. The lighthouse is symbolic of safety and guidance in our journey through each day of our life. This design would make a fabulous housewarming gift or to give to anyone who is going through challenges in life. No sewing required to make a gorgeous wall hanging. Includes fabrics, foam board, pattern, and the instructions so you can create a fabulous project. Delightful design with puppies and a vibrant color for border accents. If you want to frame this, you will need to purchase the frame separately. The puppies are adorable. The color scheme will make a great addition to any room in the house. Children’s rooms will be a great place for this design as well as family room or any room where someone who loves pets (especially dogs) can enjoy. This is such a colorful and gorgeous quilt magic kit, I simply had to include it! This is very reminiscent of the quilt patterns that drew most of us to quilting originally and this kit makes it so very easy to create this beautiful quilt square. Do You Need A Frame For Quilt Magic Projects? Note: The frame is not included in most kits. You may well end up wanting to frame you quilt project. Because of the depth of the finished piece, there are frames made specifically to fit quilt magic projects. These are gorgeous! I’m a traditional quilter by love, but I also love to try new things. 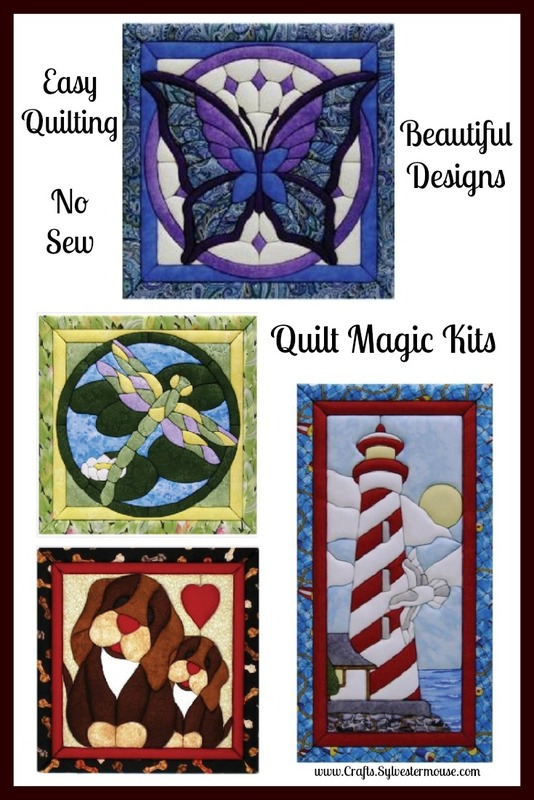 These Quilt Magic kits look like a fun way to try something new. That dragonfly really peaked my interest.